How big will the average American's Social Security check be in 2017? If you're already receiving Social Security and are curious how you compare with other recipients, or you're fast approaching retirement and you want to get a better feel for how much money you can expect from the program, you're probably curious how much the average American collects in Social Security income. The short answer is that the average retired worker will receive $1,360 per month in 2017. The long answer is that the amount that Americans receive in Social Security will vary widely next year. Social Security is designed to replace roughly 40% of a worker's pre-retirement income. However, the calculation used by Social Security is complex, and a person's actual benefit depends a great deal on his or her work history. Social Security calculates your monthly benefit by adjusting your highest 35 years of monthly income into current dollars and then averaging those amounts to come up with your average indexed monthly earnings (AIME). Multipliers are then applied to the AIME at various income levels to determine your primary insurance amount, or PIA. In 2017, these multipliers, or bend points, occur at the $885 and $5,336 levels. Specifically, the PIA is based on the sum of 90% of AIME up to $885, 32% of AIME up to $5,336, and 15% on any income above $5,336. In 2017, the maximum benefit payable to a worker retiring at full retirement age, or the age at which a person qualifies for 100% of his or her benefit, is $2,687. In 2015, 2.8 million Americans were awarded Social Security benefits, and as you can see in the following chart, the amounts payable to them ranged widely. Over 217,000 Social Security recipients were awarded less than $500 per month, and more than 433,000 were awarded north of $2,100 per month. Across the entire universe of Social Security recipients, the amount pocketed also varies widely. Ignoring the two extremes of high- and low-income recipients, you see that most Americans are getting somewhere between $750 per month and $1,800 per month this year. If you're approaching retirement, you've already worked 35 years, and your income is higher now than it was in the past, your best bet to a higher Social Security payment may be to continue working. Social Security uses only your 35 highest-income years, so every additional year worked at a higher income today will remove a lower-income year from Social Security's calculation. Further, working beyond your full retirement age can pay off with a higher monthly Social Security payment due to delayed retirement credits. 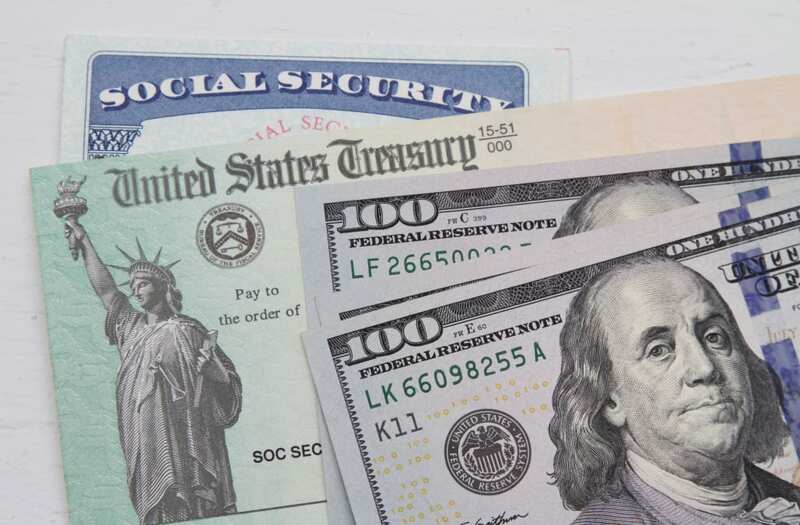 Social Security rewards people for holding off on claiming until after their full retirement age by increasing their payout by about 8% per year up until age 70. If you're a bit further away from retirement, then it may be a good time to ask your employer for a raise. The average American's hourly earnings grew 2.8% year over year in October, and if your income isn't keeping pace, it may be worth bringing up the topic with your supervisor. After all, unless you're already at the maximum benefit, any additional money you earn every year can increase your AIME and primary insurance amount. Finally, if you're 62 and want to retire, consider working half-time while collecting your Social Security benefit. If you claim at 62 you'll receive roughly 75% of what you would otherwise receive at your full retirement age, and if your earnings eclipse $16,920, then Social Security will hold back $1 for every $2 you earn above that limit. Those withheld dollars will then be used to increase your benefit once you reach your full retirement age. 1. It takes 10 years of work to earn the right to Social Security retirement benefits. Eligibility for retirement benefits requires that you earn 40 work credits under the Social Security system. You can earn up to four credits per year, and for 2016, you'll get one credit for every $1,260 in earnings. The rules for Social Security disability benefits are different and are based on the age at which you become disabled. In general, the earlier in your career you become disabled, the fewer work credits it takes to get disability benefits. However, it never takes more than the 40 credits needed for retirement benefits. 2. Most spouses and some ex-spouses can file for spousal Social Security benefits. In general, spouses of eligible workers are entitled to spousal Social Security benefits. If you've been married for a year or more, then you can qualify for spousal benefits. In addition, parents of minor children can claim spousal benefits on each other's work histories regardless of length of marriage. For ex-spouses, the rules are different. Only if your marriage lasted 10 years or longer can you claim benefits on an ex-spouse's work history. In addition, if you've remarried, then you forfeit the right to claim spousal benefits. 3. Most people can apply for benefits at age 62. The general rule for retirees is that the earliest age you can file for benefits is 62. But some people can apply earlier. Spouses can get spousal benefits regardless of age if they are caring for a child who receives benefits either because the child is under age 18, in high school and 19 or younger, or disabled. Widows and widowers can claim survivor benefits at age 60, with an option to claim as early as age 50 if the surviving spouse is disabled. In general, you can only apply a few months in advance for benefits. The Social Security Administration won't accept applications more than four months before the date when you want benefits to start. 4. Social Security considers your best 35 years of work history. In calculating benefits, Social Security looks at the entirety of your career, choosing the 35 highest-earning years after adjusting for inflation over the course of your work history. That means that in contrast to the way some public pensions work, earlier low-paying years can play an equally important role in determining your benefit as recent high-paying years. For those who haven't worked a 35-year career, staying in a job longer can have a measurable impact on benefits. Even if you already have 35 years of work, staying in a high-paying job an extra year can replace an earlier low-earning year -- again depending on how inflation has behaved in the interim. 5. Social Security rules can change at a moment's notice. Understanding Social Security is hard, but even worse is the fact that once you think you have a rule down cold, it can change. Americans found that out late last year, when new changes eliminated the file-and-suspend option and restricted application strategy for most future participants. Because your benefits aren't written in stone, you need to stay aware of potential program changes. That way, you can weigh in with your representatives to ensure that any concerns you might have are heard. Social Security rules can be hard to follow, but they're important to understand. By knowing these five rules, you can do a better job of managing your retirement finances. If you're like most Americans, you're a few years (or more) behind on your retirement savings. But a handful of little-known "Social Security secrets" could help ensure a boost in your retirement income. For example: one easy trick could pay you as much as $15,834 more... each year! Once you learn how to maximize your Social Security benefits, we think you could retire confidently with the peace of mind we're all after. Simply click here to discover how to learn more about these strategies..